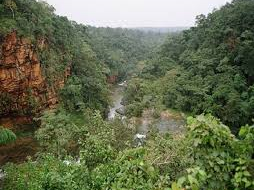 Chhattisgarh is gifted with the most pristine and abundant set of natural resources in the country. Mountain, Plateau, and Plains eco-systems constitute roughly a third each of its physiography. Dense, green, and untouched, its forests are also the source of major rivers like Mahanadi, Narmada, Indrāvati, and an exotic flora-fauna. Chhattisgarh is gifted with the most pristine and abundant set of natural resources in the country. 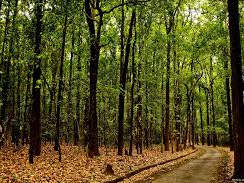 The recorded forest area in the state is 59,772 km sq, which is 44.21 percent of its geographical area. Reserved, Protected and Unclassed Forests constitute 43.13 percent, 40.21 percent, and 16.65 percent of the total forest area respectively. The state has three National Parks and eleven Wildlife Sanctuaries covering an area of 0.29 million ha and 0.36 million ha respectively. A total of 0.65 million ha area constituting 4.79 percent of the geographical area of the state is under protected area network. The forest cover in the state is 55,674 Km Sq, which is 41.18 percent of the state's geographical area. In terms of forest canopy density classes, the state has 4,163 Km Sq of very dense forests, 34,811 Km Sq of moderately dense forests und 16,600 km Sq of open forests. As per Champion & Seth Classification, the state has ten forest types that belong to two forest type groups viz. Tropical Moist Deciduous and Tropical Dry Deciduous. Tree cover of the state has been estimated using trees outside (TOF) inventory data collected over a period of six years, i.e. 2004-10.The estimated tree cover in the state is 3,866 km Sq, which is 2.86 percent of the geographical area of the state. Six districts of the state (Bilaspur, Durg, Jashpur, Kawardha, Kanker and Rajnandgaon) have been inventoried. Area estimates of various wetland categories for Chhattisgarh have been carried out using GIS layers of wetland boundary, water-spread, aquatic vegetation, and turbidity. Total 7711 wetlands have been mapped at1:50,000 scale in the state. In addition, 27823 wetlands (smaller than 2.25 ha) have also been identified and delineated as point feature. Total wetland area estimated is 337966 ha that is around 2.5 percent of the geographic area. The major wetland types are River/Stream accounting for about 53 percent of the wetlands (179088 ha), Reservoirs (90389 ha), and Tanks/Ponds (40226 ha). The small wetlands (< 2.25 ha) accounts for about 8.2 percent assuming that each is of one ha. Chhattisgarh’s forests and wetlands face a number of key issues that have impacted them over the years and continue to do so – these involve both natural and manmade causes, and have in general resulted in the depletion or at least shrinking quantity/quality of the State’s bio-resources. One of the major causes for the loss of biological diversity in the wild lands has been the depletion of vegetative cover in order to expand agriculture. The collection of fuel wood, uncontrolled grazing for sustenance, food security, as well as income generation, and ever growing population has led to an increased rate of consumption of bio-resources. Most of the biodiversity rich forests of the State also have enormous mineral wealth potential. Exploiting this potential by opening new mines & mineral based industries in the recent past has led to destruction of rich habitats. Diversion of forest lands for non-forestry purpose like minor and major irrigation projects; hydroelectric power projects roads; industrial estates & other development projects. Release of toxic affluent both in water & air due to urbanization and industrialization has seriously affected the regeneration & growth of Biodiversity. Spread of invasive weeds like Parthenium, Lantana, Eupatorium has posed serious hindrance in germination and growth of indigenous species. Deficiencies in institutional mechanisms for and traditional but destructive collection practices of NTFPs &medicinal plants and removal of roots /base of products such as collection of; tubers, roots of Palas, bark of Arjun, fruits and seeds of Char have also contributed to forest degradation. Loss of Soil cover due to degradation of forest cover in 40 percent of the State's managed forests and inadequate emphasis on watershed management, problems with natural regeneration of Sal forests, repeated man made fires, epidemics affecting forest strands and fauna are also key factors. The lack of a comprehensive land use policy coupled with inadequate investments in the forestry sector have resulted in the loss of productivity, lowering of water table & change in drainage pattern in the forest areas. Districts such as Bastar,Dantewada, Kanker, Korba, Kawardha, Bilaspur, Jashpur, Raigarh, Surguja, and Manendragarh, while being rich repositories of biodiversity, are also rich in minerals. With the increasing demands on the mining sector, mining activities could pose a serious threat to biodiversity. Likewise, Manendragarh, Surguja, Jashpur, Korba, Bilaspur, and Raigarh districts of the State have witnessed installation of thermal power plants, and many more such plants are in the pipeline. The thermal emissions and fly ash would pose a serious threat to biodiversity. Similarly, the State’s wetlands are equally under stress from a range of factors are degrading rapidly or are diminishing altogether. Also, overemphasis on introducing high yielding varieties and improved farming practices poses a deep threat to the indigenous domestic biodiversity. Increased use of fertilizers and pesticides leading to decline in agro-biodiversity as well as adjoining wild biodiversity. Development of uniform cultivars, grown in uniform environments and the spread of these cultivars is leading to an erosion of primitive crop genetic variety and loss of agro-biodiversity. Work under the Green India Mission: - multiple objectives including improved quality of forest cover, increased forest/ tree cover, improved ecosystem services, increased forest based livelihood income, and enhanced annual carbon sequestration, with bottom-up participatory approach with Gram Sabha/Joint Forest Management Committees (JFMCs) at the helm of planning, decision making and implementation, involvement of local educated youth. State has adopted a landscape based approach - 11 landscapes identified in Chhattisgarh in three agro-climatic zones; preparatory activities including awareness, outreach and communications, micro-plans, landscape survey, detailed mapping, nursery development, etc. are underway. To create a mechanism to conserve traditional and religious beliefs of tribals concordant to Biodiversity conservation and to float package of justified sustainable use of customary practices for their livelihood security. Regeneration of degraded bamboo forests: - Clearing dead, damaged, and entangled bamboo shoots, doing the necessary ground clearance and soil culture and mounding the rhizomes. These operations help in the regeneration of the clumps and growth of strong shoots and increase the productivity of the bamboo forests. Plantation along highways, district, and rural roads: - to increase green cover. Various other initiatives are also under way. Initiatives by other agencies but linked/complementary to the work of the Forest Department in the forestry sector include extensive plantations (for industrial use, etc.) and regeneration of degraded bamboo forests by the Chhattisgarh State Forest Development Corporation (CSFDC), activities taken up for medicinal plants cultivation by the National Medicinal Plants Board (NMPB), as well as the Chhattisgarh State Medicinal Plants Board (CSMPB) including the protection, promotion, sustainable extraction, processing, marketing of medicinal plants and co- ordination involved among the various departments/institutions, etc. The State has been also taking private sector participation (PSP) in the forestry sector to the forefront – during the recently concluded Chhattisgarh Global Investor’s Meet 2012 (2nd and 3rd November 2012, at Naya Raipur), 18 MoUs were signed between investors and the Chhattisgarh Minor Forest Produce Federation (CGMFPF) covering a total value of 894.50 crores, with the potential to generate significant employment/livelihoods for forest dependant/fringe communities. The MoUs covered diverse projects such as bamboo flooring and fibre units, biogas, bio-briquettes, herbal extracts and processing, tamarind processing, dry flower products, etc. Forests are an important natural resource for Chhattisgarh not only for its environmental importance but also because a significant population lives in close harmony with it. The preservation of this delicate forest-tribal interface is crucial for reasons far beyond ecological, social, cultural, and economic. Mainly tropical deciduous forests, 29 percent of the State’s forest cover of 59,772 square kilometres (sq. km) is dense and very dense, while 12.5 percent is open forest and scrubs. While the overall forest cover has remained more or less stable in last one decade, its quality hasn’t. Recent satellite images have shown a reduction in the dense and very dense forests by about 192 sq km and a proportionate increase in open and non-forests during 2004-09. Around 90 percent of the State forests fall outside the protected area network of its 3 national parks and 11 wildlife sanctuaries. As admitted by 12th Plan Approach Paper, states need additional resources to maintain and conserve these forests for their ecological importance and for sustaining their productivity. The State would take steps to improve forest governance and bring the remaining 42 percent of its forests under the management of JFMCs. Apart from weak monitoring, mining in forest areas has also contributed to loss of forest cover and gradual degradation of surrounding flora and fauna. Nearly 28 percent of forests, spread over 16,700 sq km, are degraded, and require urgent revitalization. Emphasis will be on arresting further degradation and raising quality plantations on them through community participation. New plantations will be taken up considering the nistar (usufruct) needs of neighbouring populations to compensate for the loss due to land diversion and mining. Incentives will be created for agro-forestry, and funds from Carbon Trade employed for better maintenance of the forests. 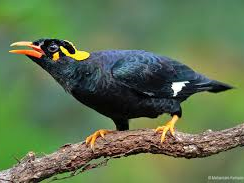 Bio-diversity is important for ecological security and the State is home to several endangered and vulnerable species. Capacities of PRIs, JFMCs and Biodiversity Management Committees (BMCs) will be improved on natural resource management, bio-diversity conservation and protection of the critical tiger-elephant corridors of the state. As such, effective implementation of the State Biodiversity Strategy and Action Plan will be a high priority agenda. Currently, no comprehensive analyses of possible impacts of climate change to Forests and the forestry and related sectors in Chhattisgarh are available, nor are systematically documented anecdotal references to impacts from farmers. At the same time, it is evident that a changing climate can pose serious threats to the existing forests in Chhattisgarh. Any short-term or long-term fluctuations of climate can have dramatic effects on the forest productivity and impact forest dependent communities and their livelihoods. Increased climatic variability and prolonged droughts and higher temperatures can result in increased fire incidence and lead to forest degradation. Other impacts could potentially include advancing/late unfolding, blossoming, and ripening in the leaves and fruit of wild plants; and of patterns of hibernation, migration, and breeding of wildlife in mountain regions and changes in synchronous relationships between predators and prey, as well as those between insects and plants, proliferation of existing weeds and evolution of new phenotypes, even the formation of novel species’ associations and other ecological surprises. Intensification of protection of the State’s protected area network and improvement of facilities and management infrastructure. Development and initiation of a strategy to protect and preserve the State’s wetlands based on prioritization of wetlands of high ecosystem value or those under high risk. Developing/refining the State’s policies and initiatives for eco-tourism (especially in protected and other wilderness areas) and bio-cultural tourism through a critical re-examination/appraisal of existing plans, programmes, and activities. Interventions in very dense forests: As these forest areas have remarkable capacity to sequester and store carbon, the interventions will focus on enhancing storage and reducing emissions by ensuring full stocking, maintaining health, reducing losses due to tree mortality, natural calamities, wildfires, insects and diseases, and stand density management by prudent tree removal. It is envisaged that this will provide a renewable source of products including timber, engineered composites, paper, and energy even as the stand continues to sequester carbon. These forests will continue to be protected rigorously against all threats. Gap plantation adopting indigenous species. Development and deployment of other innovative incentive based conservation measures involving local communities.